Book reviews. All authors want them (the positive ones, at least!). Fielding a great one can make our day. But many writers are finding that reeling in reviews is getting harder. If you share that view, are you sure you’re doing all you can to attract them? This handy checklist of 15 constructive ideas will help you get more reviews. Most of them won’t cost you a penny to implement, nor will they infringe Amazon’s terms and conditions or get you into trouble in any other way. So good luck – and may all your new reviews be glowing ones! Ask for book reviews in your books in both the front and the back matter, the latter being particularly timely as your request will appeal to readers the minute they finish your book, hopefully in a wave of enthusiasm for your story and full of goodwill towards its author. Solicit book reviews in your marketing collateral eg bookmarks, postcards, or any other branded promotional giveaways. Invite book reviews on your website. Set up a call to action as a widget in its sidebar, including universal links to where you’d like reviews to be left. Ask book clubs. Offer virtual book club discussions or adding book club questions in your back matter, and end with a request for reviews from book clubs following their discussions. Ask bookbloggers not to paste the exact same book reviews on Amazon, for the same reason. You may be able to persuade them to write something different there. In the meantime you can get more mileage from their kind words on their blog by adding them into your book’s “Editorial Reviews” on Amazon (which in any case is not meant to include Amazon reviews). Suggest other places than Amazon for leaving book reviews – particularly useful for those who are (a) not Amazon customers (b) not Kindle users (c) averse to Amazon for reasons of their own. Useful alternatives are GoodReads, BookBub, and the sites of any other outlets from which your books are available – Kobo, iBooks, etc. With any luck, they might take your suggestions as a hint to duplicate their review on all of those places! Drop more hints! Quite a few ALLi members post occasional memes on social media about how new reviews make an author’s day. Many readers don’t realize how much authors crave reviews – why should we even expect them to know this? – but will be happy to do so if asked. Google “help an author” for suitable images, or make up your own using Canva.com or similar. Make it easier for your readers #1: Include links on your website to the pages where you’d like them to leave reviews. They’re not psychic, you know! Make it easier for your readers #2: Remind them that a review can be short and sweet – a simple “I loved it!” will suffice. They might otherwise assume you’re after a detailed high-school-style book report, the very thought of which may make their heart sink! Say thank you in person. 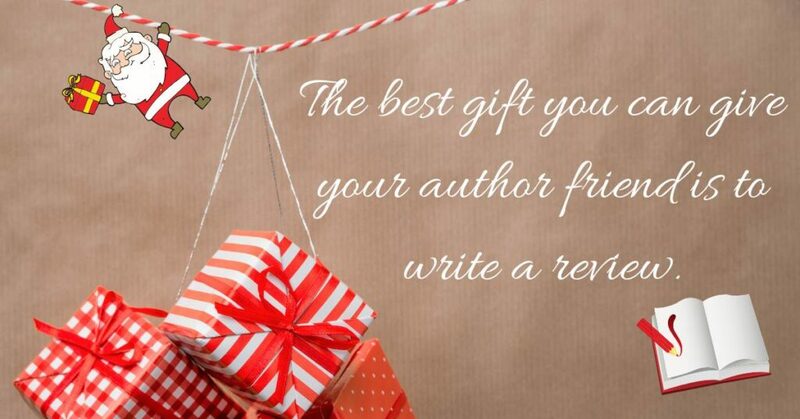 Received wisdom is that we should never respond to reviews on Amazon or anywhere else – but if you know someone, in particular one of your super-fan ARC readers, who has left a review, drop them a private message expressing your appreciation. We all like to be thanked, don’t we? And knowing our action is appreciated makes it more likely that we’ll repeat it. Share your reviews in public, eg on your social media, to make them go further by putting them before a wider audience. Many readers like to see their words quoted – but if it’s a bookblogger’s review you’re quoting, only share a brief teaser and direct people to the bookblog to read the review in full. Consider making the first in a series free – a controversial recommendation that not everyone will embrace, but anecdotal evidence is that you’ll get more readers and by extension more reviews as a result. (On the other hand, you may get readers who are not your target audience and who may not enjoy your book as much as a true fan.) The choice is yours. You can always switch back to charging for the book if you find the free policy is doing more harm than good. Put your book on NetGalley. This tip that will cost you a substantial investment, but many ALLi authors have found it useful and good value for money. How it works is that you pay NetGalley to offer free review copies of your book to its volunteer readers who choose the books anonymously with a view to reviewing. ALLi Partner member BooksGoSocial is also a NetGalley partner, and BooksGoSocial’s director Laurence O’Bryan will be happy to advise you on whether it would be a good fit for your books. Don’t let yourself be discouraged by a slow trickle of reviews, nor by any negative ones, which may help you improve your writing craft. Negative reviews can also discourage the wrong kind of reader – eg the one complaining that your purposely “clean romance” doesn’t feature anything raunchy – from buying your book and leaving further negative reviews. Stay motivated by reading your best reviews (copy and paste them from wherever they first appear, so you have a permanent record of them) – because, trust me, the thrill of reading them never gets old! With thanks to the inventive minds of ALLi author members Dawn Brookes, Lisa Ferland, Helena Halme, Wendy H Jones, Virginia King, Maggie Lynch, Laurence O’Bryan, Margaret Skea, and Jane Steen, for contributing to the conversation that led to this post, via our members-only Facebook forum. Click here for more information on how to become an ALLi member and gain access to this and 20 other membership benefits. OVER TO YOU Do you have any other top tips for getting reviews that have worked for you? Feel free to add them via the comments! Sitting here gazing and wondering, your 15 points have stirred the salesman, thank you.